Klaus is the vintner at MWC. 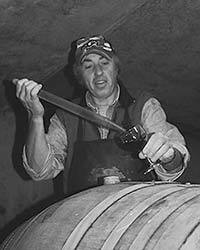 We depend on him for quality control and innovative wine making techniques. He was born and raised in the Pfalz wine growing region in southern Germany where his family owns and operates their vineyards and winery. His formal training was at the Wine Institute in Neustadt in Rhineland Pfalz, where he studied for three years as well as doing his apprenticeship. Klaus has been a resident in Canada since 1976 and is the longest serving member of the MWC having joined us in 1994.